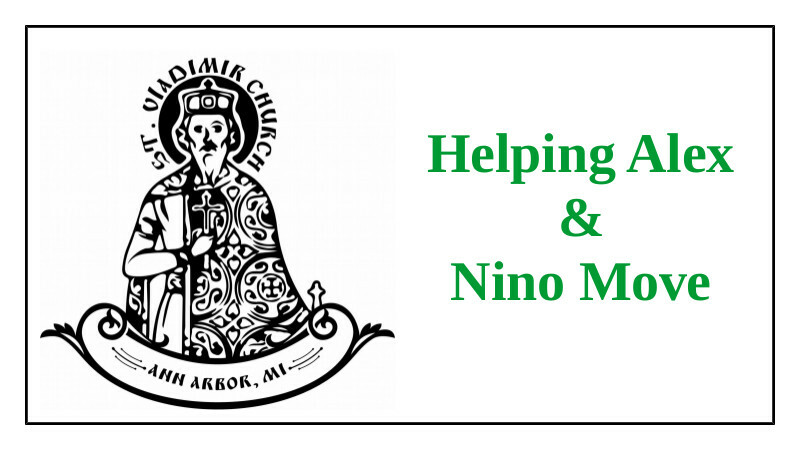 St. Vladimir Orthodox Church, Ann Arbor, MI - Brotherhood Feast Day is Monday! Brotherhood Feast Day is Monday! All English Cycle is June 30 - PLEASE JOIN US! With the blessing of Archbishop Peter the Hawaiian Myrrh-Streaming Icon of the Mother of God will visit St. Vladimir’s Saturday June 30 through Sunday July 1. 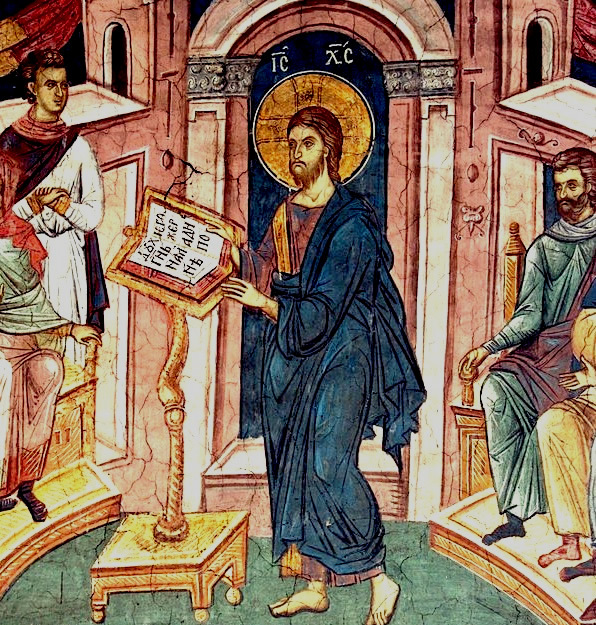 Also – we are seeing a host family to house the icon’s protector, Reader Nectarios. Please contact Fr. Gregory if you can help in this way. 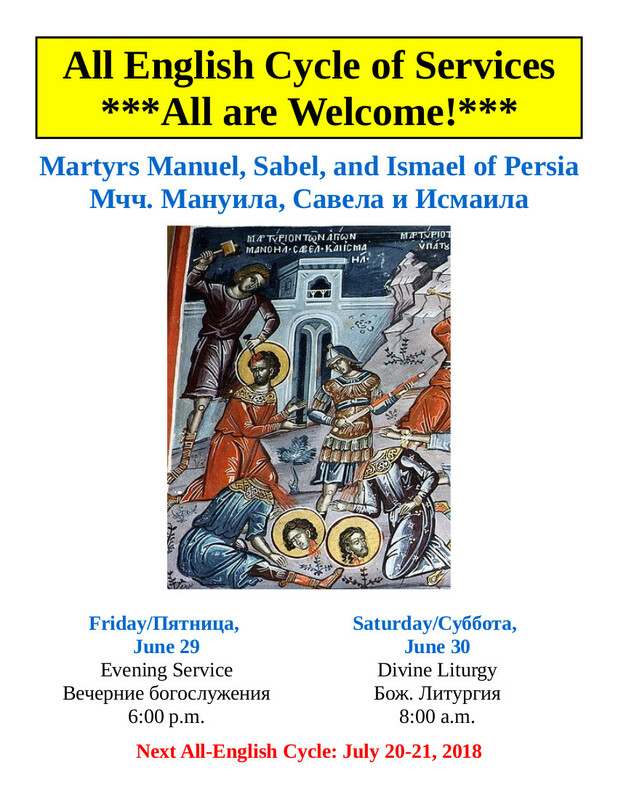 The icon and Reader Nectarios will depart after the Divine Liturgy on Sunday, July 1. Let us all make a sincere effort to participate in this activity for the glory of God and His Most Pure Mother! 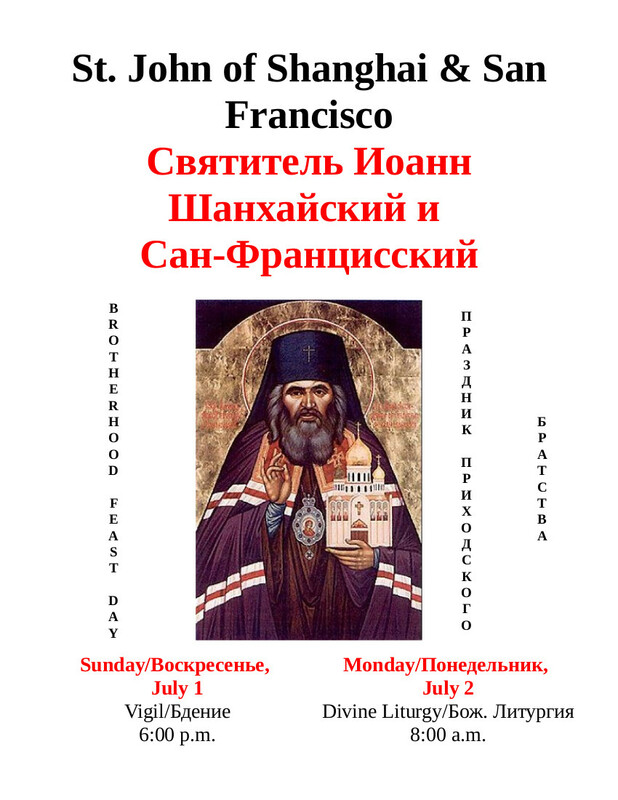 The feast of St. John of Shanghai and San Francisco is July 2. 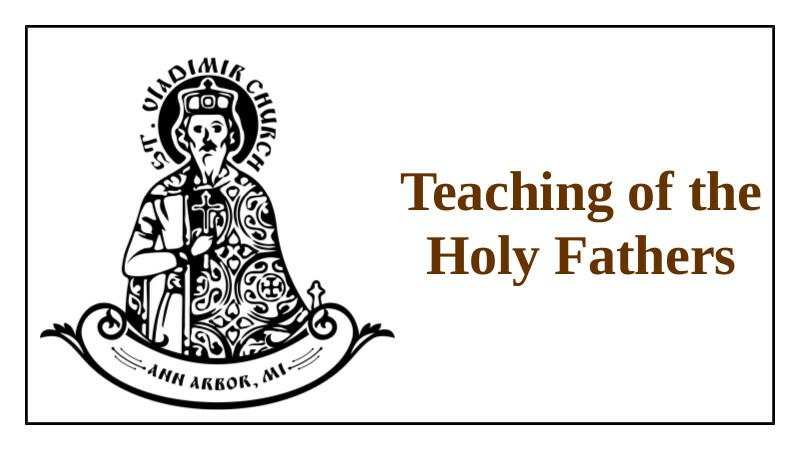 As is our usual parish practice we will have vigil on the evening of July 1 (Sunday night) and Divine Liturgy at 8:00 a.m. on July 2. Please mark your calendars now and participate as your personal schedule allows. WORK DAY: at 6:00 p.m. or so on July 2 we will gather at St. Vladimir’s to seed the new cemetery. 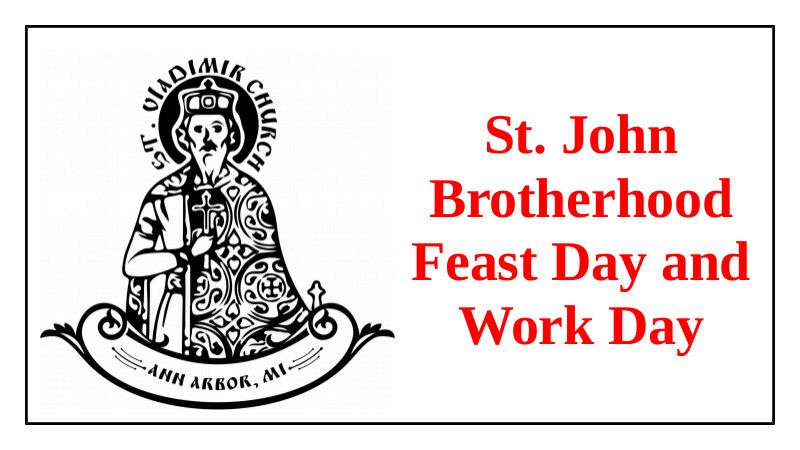 Please plan to join us that evening to celebrate the Brotherhood Feast Day by working for the good of God’s Church! 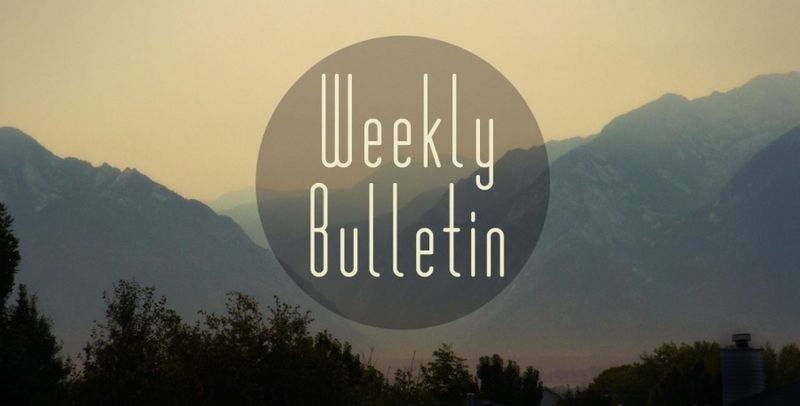 Refreshments will be served – after the work is done! If you can’t be there at 6:00 p.m. that is not a problem – come as soon as you can after work and pitch in! 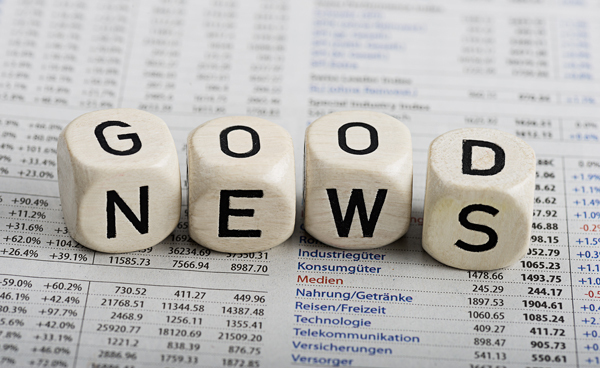 Alex and Nino Ward are moving to a new apartment on Wednesday of this week – June 27. We are seeking two or three people to help them with the moving that day. Alex has a bad back and we don’t want him to hurt it again lifting heavy things. They’d like to gather at their place in Ypsilanti about noon that day. Please help if you can! Call or text Alex at 248-636-8459.